If Jazz wins the first game, the playoff will go into the sixth game or seventh game, which does not bode well for Rockets. 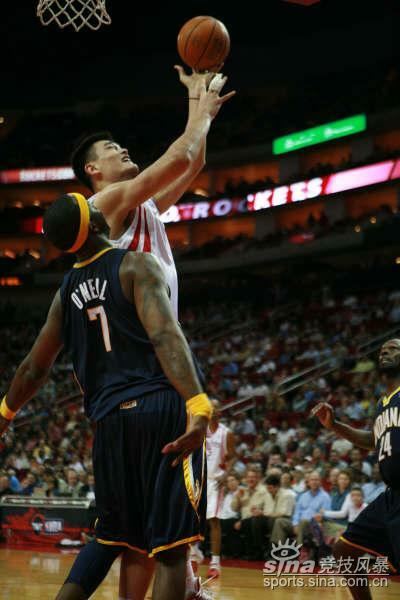 Rockets will have to sweep them. Cannot give them any confidence. 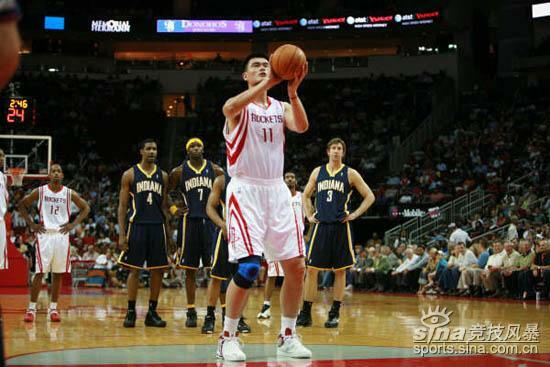 They are a better version of Clippers, and Pacers. Think about it, Jazz is dangerous. lol.. barkley doesn't think we have a chance vs the jazz. hes a hater for life. He is still upset with the Rox for forcing Rudy T to retire as a Head Coach! 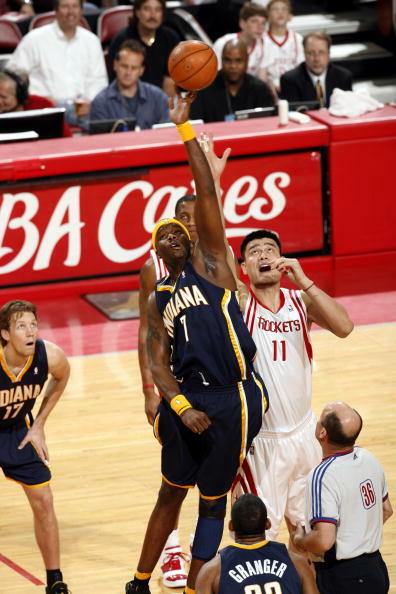 Finding daylight: Rockets 86, Pacers 76. 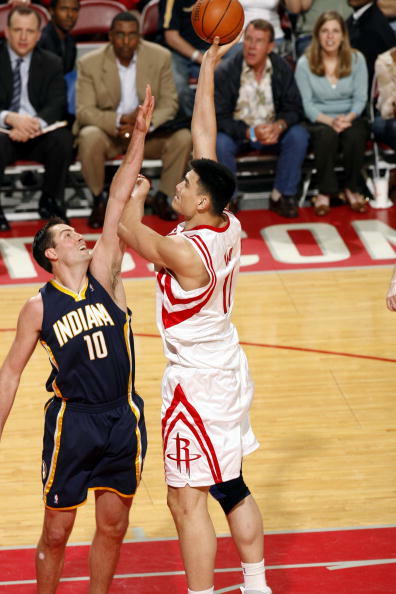 After a night of poor shooting and sloppy ballhandling, a game of porous defense and little emotion, the Rockets made the shots they needed coming down the stretch to beat the wretched Pacers. There are some who will tell you that how you win doesn't matter. For a team that still has everything to prove in the playoffs, the Rockets have to get out of the habit of half-stepping it for most of the night and then expecting to pull it out with a few jumpers late. The Rockets are a team that still needs to establish a clear identity and an attitude that everything matters all of the time. You can be Tracy McGrady and have the ability to finish with an almost-triple-double -- 20 points, 10 assists and 9 rebounds -- while spending the night on cruise control. Or you can be a guy playing in June for a championship. Another game, another win, another enigma. Sorry, pathetic, lazy game by the Rox. And then, in the 4th, they thought, 'Oh shiet, we might lose. Let's turn it on for a couple minutes"
All of a sudden, Rox up ten. It's like they can turn it on and off. 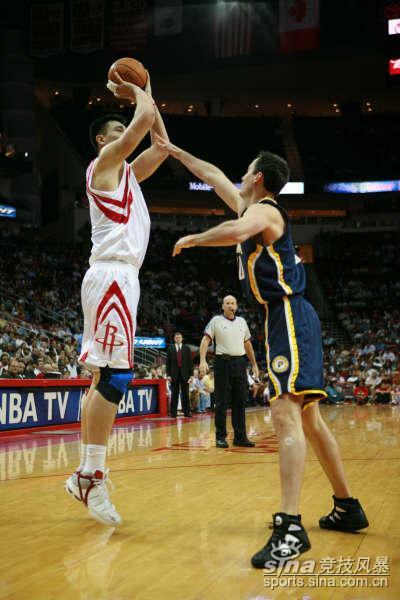 Somebody tell Yao to stuff it when he's within 3 feet from the rim! There was like 5 shots that he missed because he went for a soft layup instead of a slam dunk. 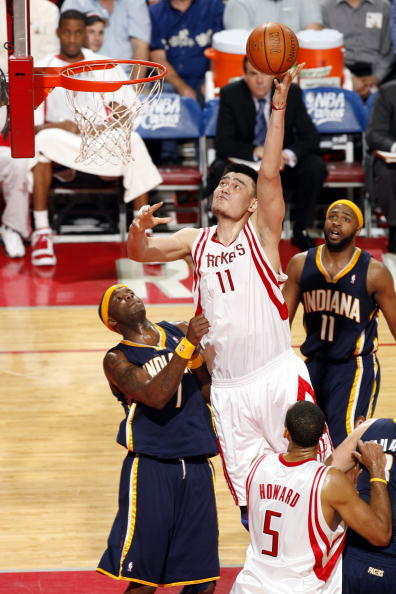 Also, plz tell him to Not do that spin move layup thing unless he's within 5 feet from the rim! 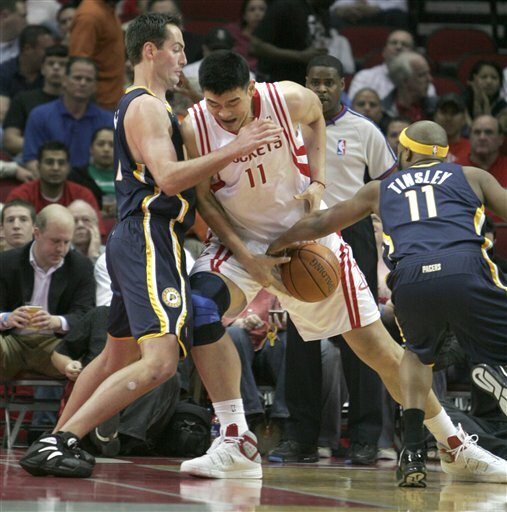 And BTW, Charles Barkely you bald dumbass, Yao will destroy the Jazz. Good, honest, and objective analysis, Marza! I pray for the lose. hope you keep your word. Even if u dont kill yourself, at least chop off your Johnson. 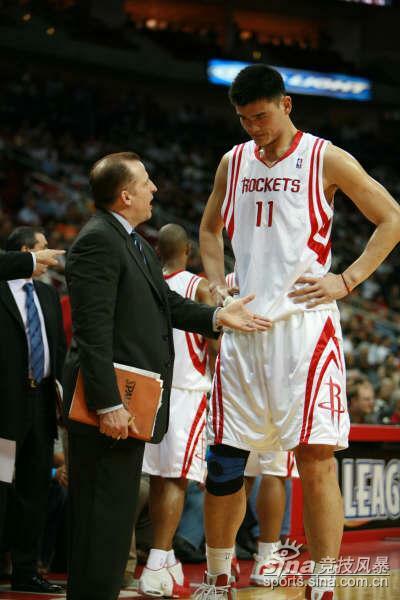 your Johnson must shrink from regular to small, then to mini, until it shrink all inside before the last 5 minutes. 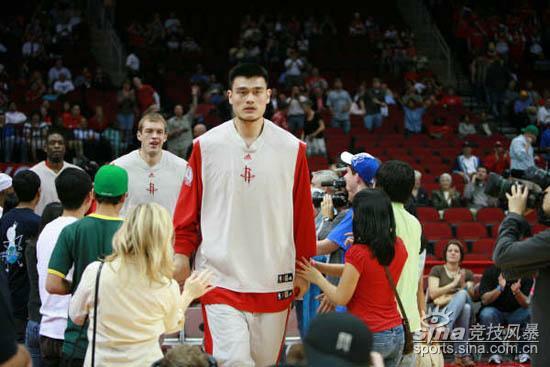 thanks to Yao, you still can breathe and keep your Johnson.